"This is a well presented reference book…The editors have done a marvelous job of selecting the right crops for the discussions in this book…The foreword by Masa Iwanaga is an excellent essay on the economics of stress damage." ". . . it is essential that the problem of food security be recognized as a challenge facing all of humanity, and that concerted global efforts in agricultural research be intensified. . . . exciting successful examples of effective use of genetic diversity for the development of insect-resistant crops abound. 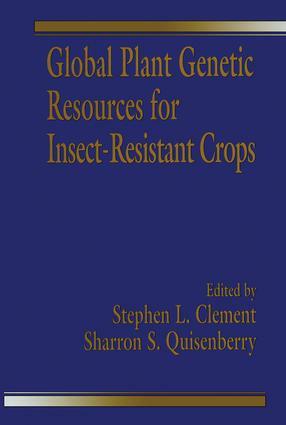 This book provides many such examples, from which we can learn valuable lessons for the effective use of conserved germplasm. The widely applicable lesson is that close, effective, and long-term collaboration is required among different players, including germplasm curators, plant breeders, molecular biologists, entomologists, ecologists, and social scientists." Germplasm Resources, Insect Resistance, and Grain Legume Improvement, Stephen L. Clement, Massimo Cristofaro, Susan E. Cowgill, and Susanne Weigand.